My approach is compassionate and direct. Due to the fatal nature of the disease of addiction, there is a need to challenge the thoughts and beliefs that can keep the addicted client “trapped or stuck”. It is through a supportive and empathetic style that I work on connecting with my clients, identifying the underlying issues that fuel the addiction and provide an alternative choice to coping with these same issues. Recovery is more than a choice to “not use”. Recovery is lifestyle change that requires commitment, hard work and willingness. It is with these things that together my client and I work towards a better more fulfilling life. Addiction is a complex, progressive chronic thought disorder. It is a disease of the mind that requires intense focused treatment. Tolerance is defined as a need for an increasingly larger dose of drugs to achieve the same effect or when the effect of drugs is markedly diminished with prolonged use. Addicts become obsessed with repeating the experience of that first high and spend a lot of their time obtaining and using drugs. Another sign of addiction is doing drugs in larger quantities or over a longer period to achieve that first high – that feeling of euphoria. Addicts usually make unsuccessful efforts to cut down, stop, or control their drug use. They make repeated, genuine promises and resolutions to stop but cannot, because the disease has set in and they have lost the power to control their use of drugs. Finding and using drugs takes dominance over the addict’s life despite harm to themselves and others. Addicts suffer from withdrawal symptoms because drugs suppress the brain’s production of neurotransmitters, which are responsible for feelings of reward and pleasure. Withdrawal symptoms are painful physical or mental changes that occur when the body is deprived of the drug that it is accustomed to getting. Depending on the type of substance, withdrawal symptoms can appear from within a few hours to several days, and can last from a few days to a few months. Withdrawal symptoms vary with each drug. 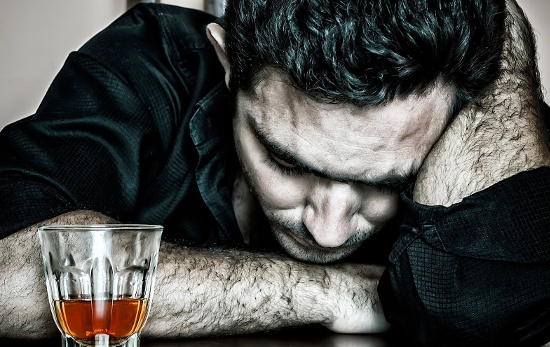 Some substances — such as alcohol, opiates, and tranquilizers — produce severe physical withdrawal symptoms, which can be dangerous and even fatal. Other substances — such as cocaine, marijuana, and ecstasy — produce psychological withdrawal symptoms, which although very uncomfortable are not life threatening. Each person’s withdrawal patterns and symptoms are different, and medical supervision is recommended if you decide to stop your drug or alcohol use.